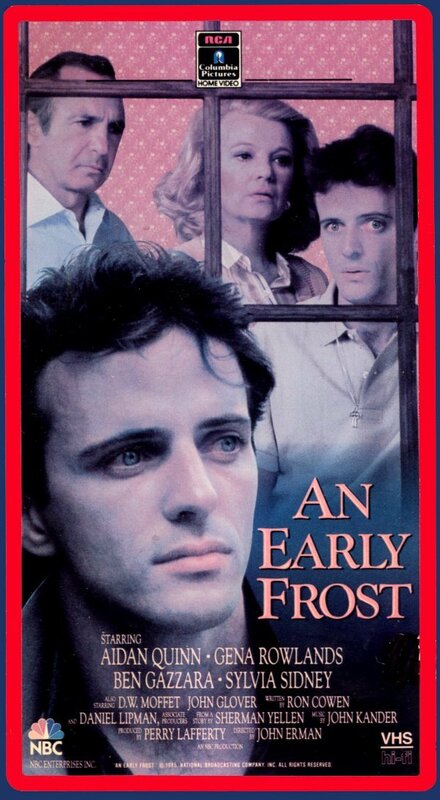 It is entirely possible that “An Early Frost” may be the greatest telemovie ever aired by the networks. Whoever made the decision to keep it to a one-night affair instead of stretching it longer was a genius. It’s 1985 and this is the first time AIDS is discussed, so it’s better to grab people once than expect them to keep revisiting the story. Here is a movie so polished and so important, with a cast so impressive that to call them “slumming vets” as they would be in any other movie, is unfair. They are dedicated artists who knew how important it was to give this material the showing it deserved. But the difference is that “An Early Frost” is small. It’s about one family at one period of time. No costumes, no historical sweep, nothing fancy. Why run the risk of losing your message by burying it in glamor? Not this time. Definitely not this time. You want the ultimate factoid here? “An Early Frost” was higher rated the evening it aired than football! The film immediately sets itself up as something to which any family can relate. 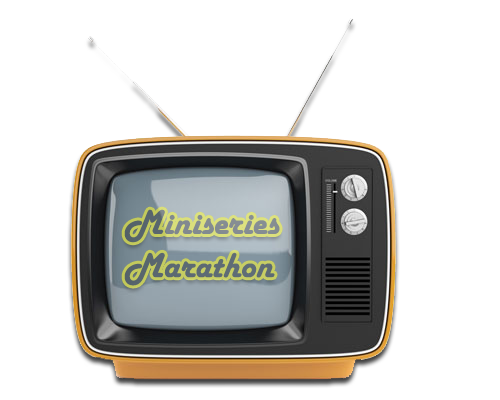 The family has a modest suburban home, mother Gena Rowlands teaches piano lessons and father Ben Gazzara runs a lumber company. They aren’t poor, that’s for sure. They do congregate in the living room for drinks wearing suits and evening attire, with chirpy Grandma Sylvia Sidney a fun little chatterbox. The big surprise on the night of Gena and Ben’s anniversary is a visit by adored son Aiden Quinn. Dinner is going along at a snappy pace, everyone so relaxed that Gena notes to Aiden if he ever has a girl he wants to bring home, “she’s always welcome.” Things are so idyllic and “normal,” that when Aiden leaves the next day in a taxi (he’s a lawyer who has to get back for a case), mom and dad stand in the street waving goodbye. Norman Rockwell couldn’t have done it up better. All is not as it seems. Aiden’s partner, D.W. Moffett has trouble waking Aiden up and when he finally does, Aiden is feeling uncharacteristically lousy, though these two have such a lovely life that they discuss vacation plans. “You didn’t tell them, did you?” D.W. asks while Aiden is shaving, meaning coming out to his family. With one line, the idyll crumbles, or at least so it seems if it were any year but 1985. Since it was 1985, there is a slow unravel. Aiden goes to the doctor to discuss not feeling well. At work, his persistent cough is so bad, he collapses and ends up in the hospital. The diagnosis is AIDS and Aiden is shocked. How could he possibly have AIDS? When Gena calls, not having heard from her son in a while, she decides she must go nurse him because, “he’s alone.” “I thought you said someone answered the phone,” Ben asks, perhaps catching on a bit. “A friend,” Gena tosses off, still insisting that what he needs is his mother to get him through pneumonia. “I wonder how many other people will want to shake my hand when they find out what I’ve got,” he wonders aloud to the doctor in a gaspingly poignant line. “Don’t ask too many questions you can’t answer,” the doctor says wisely, but cautiously. Playing it extra safe, Aiden makes up a bed in his office in their very large apartment. He’s on edge, and it’s perplexing to D.W., who reminds him, “I am just as scared as you are.” For all of his talk of support and understanding, when he mindlessly goes to take a sip out of a coffee cup Aiden has just used, D.W. decides not to. Having tossed D.W. out, Aiden takes his mother’s advice and pays a visit, under the guise of recuperating from pneumonia with a mother’s love. Aiden tells his clucking parents, “I’m sick…it’s not just pneumonia. I have AIDS.” Ben catches on quickly, but Gena has to hear Aiden say he’s gay before she realizes it. Gena asks, “would you have ever told us if you didn’t get this…” “…disease?” says Aiden, finishing her sentence. “I don’t know,” is his honest answer. Gena fully admits she doesn’t “approve,” but follows it up with, “you’re my son–I wouldn’t let anything in the world separate us.” This leads into an argument that proves why “An Early Frost” is so vital. Aiden bangs his hand angrily because he knows his father is furious, but Gena reminds him that as much as he didn’t want to be judged by them, he has no right to judge. That’s an awfully powerful statement, stepping away from the AIDS-suffer-as-victim scenario and adding an impressive amount of depth. The conversation between Ben and Aiden is more by-the-book, at least at the start, but changes when Aiden admits, “I’m ashamed. I can’t even look anyone in the face anymore because I know what they’re thinking. Same thing that you are. That I’m queer, that I deserve to have this because of what I’ve done.” Ben is angry because he accuses Aiden of handling this in a way that’s convenient to his own needs. Neither is right, but the script is fair to both. “I never thought the day would come when you would sit in front of me and I would have no idea who you are,” Ben retaliates. As a defense mechanism to shield him from having to think of the disease, he’s hung up on Aiden having lied about himself for so long. Aiden might have expected understanding from his sister, who has known he was gay, but when he confesses he has AIDS, her son runs into the room to hug his uncle and she grabs the kid, keeping him from doing so. Self-perception of “I understand” is not the same as reality, this family is finding out at top speed. When Aiden starts to shake at dinner and decides to go to bed, he bends over to kiss Gena, but Ben forbids it. “That’s right Dad, you might catch it just from looking at me,” Aiden says in frustration. In their bedroom later, Gena insists that Ben read up on the facts because he is dying and needs care. “He can get it from his own kind,” Ben snaps. “We’re his own kind,” Gena replies. Once again, the vantage point of 30 years on makes it seem like Gena is the comforting fully-understanding mother and Ben is the ignorant firebrand. But, it’s not quite so black and white. “Lie to him,” Gena replies. “Let him have his hope,” says the doctor. Ultimately, they are saying the same thing, just with different vantage points. All bases are covered and no one is judged as right or wrong. That’s beautiful and sensitive handling, not to mention honest, though complicated, which is more truthful than expected. John won’t let him off the hook that easily, showing up in Aiden’s room joking that “it’s the only fraternity I ever rushed that let me in.” Aiden is in no mood for gallows humor. Soon enough, Aiden warms up to John, offering him a brownie, to which John replies, “I really shouldn’t, I’m watching my weight.” It’s that bit of sass that endears him to Aiden. Where does the title of the movie come from? Wise Grandma Sylvia, tending to her roses, hoping that “an early frost doesn’t come and nip them in the bud.” Yes, it’s a bit heavy-handed, but it barely registers when Sylvia, having just learned the news, tells Gena she doesn’t want to be kept from the truth, proving her spirit is strong and understanding. Stretching back across the decades to summon up her skills, Sylvia’s monologue here is devastating, describing how she expected never to cry over loss again after her husband died because she would be next, everyone else being younger. It’s not a long scene, but so effective, the melodrama kept to the soundtrack and not her performance. As John gets sicker and sicker, Aiden bonds with him helping him draw up a will and realizing how much worse it would all be if he had no one. Fine, people are changing their minds a bit too fast and conveniently, but again, the decision to keep this to a single night more than justifies it. When Aiden is sent home, it’s Ben who picks him up, but not all is copacetic. At home, D.W. is waiting for him. Gena has invited him to stay, though D.W. has offered to go to a hotel, and Ben wants to know who the hell he is. D.W. is carrying around an awful lot of guilt, for which Aiden forgives him, but Aiden still will not return home. “I can’t put you through that,” Aiden tells him, referring to how hard it will be as he gets sicker. Cantankerous Ben gets splayed at dinner by this mother-in-law, though with a light touch. It doesn’t help, Ben is resolute. Aiden backs away when Sylvia goes to kiss him goodbye. “It’s a disease, not a disgrace,” she insists. She compares it to the cancer that killed her husband, but this is a moment that doesn’t quite ring true. Yes, it’s Sylvia’s way of comprehending what is going on, but the bit about people being afraid to catch cancer from her husband is unconvincing. With D.W. in the house, Ben is more taciturn than usual. D.W. explains that it’s always been a source of contention that Aiden never told his family about him, but Ben claims to be happier never knowing. Ben delivers the harshest line of the entire movie, when he growls, “why couldn’t it have been you?” That’s one of those times you have to stop and catch your breath! D.W. says he wishes it had been him because, “I don’t know how I’m going to live without him.” “He not going to die. Those doctor don’t know what they are talking about,” Ben counters and then launches into a story about how Aiden overcame a broken leg to get back into sports. Ben says it was his pushing that got Aiden well. “He’s not going to make it without you this time either,” D.W. tells him honestly. The climax comes when Aiden tries to kill himself in the garage. Luckily, Ben wakes up early to exercise and sees the smoke coming from the garage, rushing in to save his son. “What kind of a stupid stunt was that?” an irate Ben demands to know. Their ensuing conversation is a mine field, but stunning. Aiden says he was hoping Ben would find him dead. “It’s what you want, Dad, to find me dead?” he asks. He also wanted to do it so he didn’t have to suffer the inevitable ravages of the disease. In a few sentences, Aiden unloads a lifetime of experiences with his father, and Ben’s reply is remarkable. “That’s right, you call me anything you want, you hit me, as long as you don’t give up,” before grabbing his son and letting him collapse into his fatherly embrace while whispering “I don’t want you to die” over and over. That leaves only Aiden’s sister Sydney, who has not been in the same room as him the whole time because she’s pregnant and afraid, despite her shame in feeling the shame. Hours before he’s due to return home, they make up and she even hugs him. When Aiden leaves, it’s by taxi, the exact way he left at the very beginning of the movie. The dialogue is also the same, word for word. Early in the movie, one would barely notice that exchange, but the same words in this context are heartbreaking. What he’s really saying is that he can’t face saying goodbye to his parents at all, as this could easily be the last chance he has to do so. Gena and Ben are in the street watching the taxi disappear, just like before, though this time they are not nonchalantly waving, but instead holding each other up. There are more than a few decisions made by the creators of “An Early Frost” that are truly remarkable and longsighted. For instance, how Aiden’s character got the virus is never explained. It was an answer most patients of the first generation knew. It could have been either a dormant virus or one given to him by a boyfriend who cheated. It would be very easy to pick the latter and give the story a clearcut villain, but “An Early Frost” is not about blame. It’s about coping and learning. Okay, so Gena and Sylvia accept the facts a bit too easily, but that was something that actually happened in the early days. We heard stories about families turning their backs on gay sons with AIDS, but it wasn’t everyone’s story. There were compassionate families who preferred learning about it with an intense crash course of reality rather than turn away from it. By having John Glover play an over-the-top gay man while Aiden has not the least hint of a stereotypical affectation might seem a bit callous, but it’s there to combat prejudice about homosexuality, the second most important issue in “An Early Frost.” It’s campy John who has the best outlook, despite the tragedy of complete loneliness. When choices like these can be explained and understood not as conveniences of the plot, but rather real-life occurrences, there really isn’t a complain to be made about “An Early Frost.” It’s not severe, it’s not soft. It’s not rosy, it’s not tough. It just is. I’ve never seen it again after the original telecast and I wonder if today’s audience can even imagine what the AIDs scare was like before this film aired? “An Early Frost” is too beautifully written not to be involving. What’s changed is the world. AIDS is not an immediate death sentence, we know about transmission, we know about protection against the virus, management of the virus, etc. But, what has not changed is that moment people have to tell their loved ones they have it. I give credit to people like Jack Mackenroth for so publicly working to remove the stigma, but hearing the news that someone you love has a condition without a definitive cure has to evoke strong reactions.